I don't know about you...but I am SO ready for spring! I'm ready for sunshine...warm weather...birds singing...sleeping with the windows open...and, of course...Easter. I really enjoy creating fun treats to share, decorations for the house and making decorations for our Easter dinner table. The project I have to share with you today is so bright and cheery. 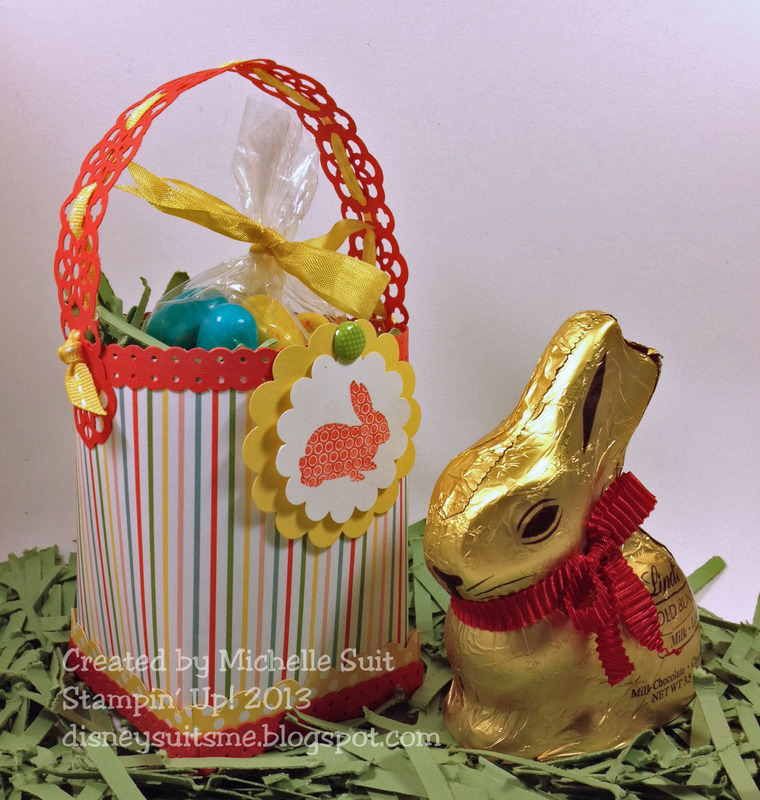 It's created with one of the brand new Single Stamps from Stampin' Up!. 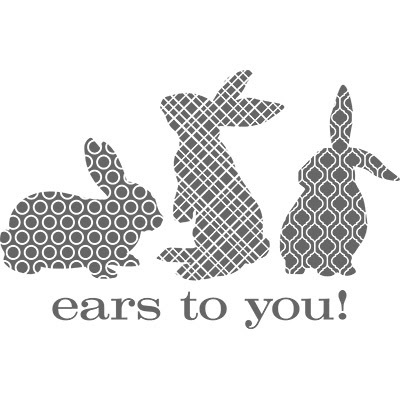 It's called "Ears To You". I made a fun, little basket using Designer Series Paper and a few scraps of card stock. I love the basket designs using a square scallop bottom like this one. It's so different and just really fun. The matching card was created using the "Window Frames" Framelit Collection and the Big Shot. I used my Stampin' Markers to ink up the image in a rainbow of colors. Don't they just "pop" off the page? With trendy patterns and funky flair, bunnies have never been so bold! Use this stamp to spring into spring and stamp in style. 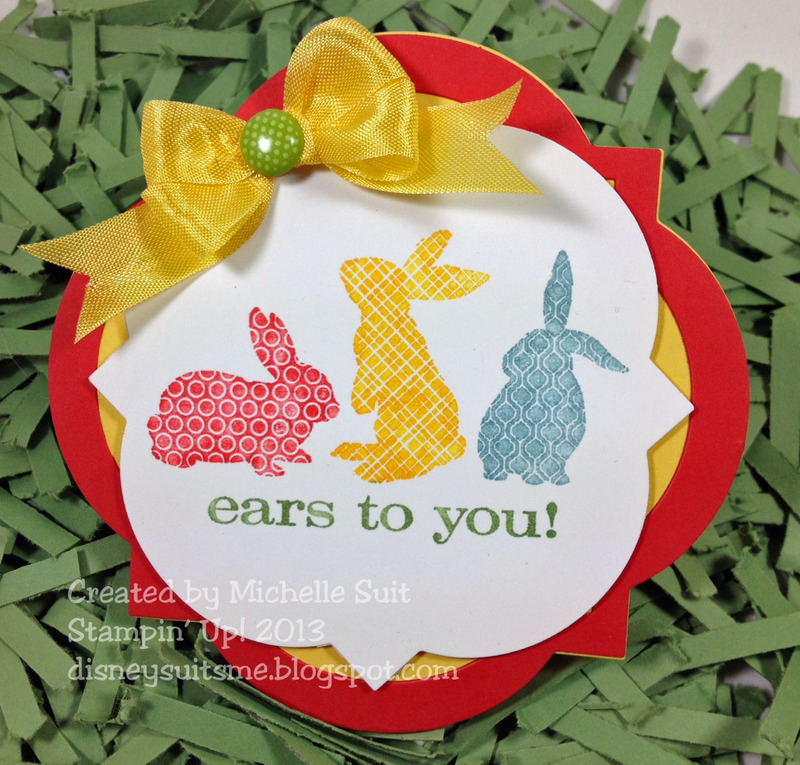 So, ears to you and many hoppy times with these three bouncy bunnies. 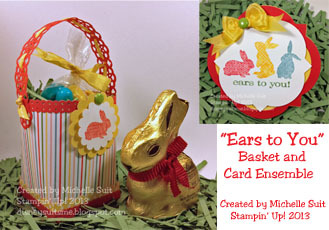 To see more of the stinkin' cute Single Stamps, just Click Here. Start dreaming along with me about Spring and all the fun that's just around the corner.